Preschool children are often overlooked by those planning violence prevention,violent behavior is seen in children of all ages, including preschoolers. It is a common tendency to assume children`s behavior will improve as they grow older, but violent behavior must be taken seriously regardless of age and should not be dismissed as a passing phase. Classroom teachers along with parents, administrators and all adults involved need to understand this complex issue. Identify what may be triggering violent outbursts. Young children can display many different types of violent behavior, including tantrums, fighting, violent speech or threats, weapon use, animal cruelty, setting fires and vandalism. These behaviors are triggered by situations or actions. Brainstorm with everyone involved where, when and why the outbursts occur. Determine if social, athletic or academic situations are causing outbursts, and if they are caused by the child feeling something is unfair or that he did not get what he wanted. 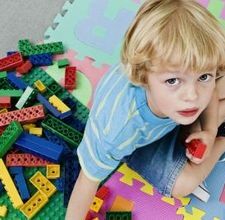 Find out if the child is modeling another person`s behavior or if he is being teased. Many other factors can lead to violent behavior, such as being the victim of abuse, exposure to violence at home or in the media, drug and alcohol use and socioeconomic factors such as poverty, unemployment or divorce, according to the "American Academy of Child & Adolescent Psychology." Look for signs that a child is heading toward an episode. Behavior patterns are usually exhibited when a child is becoming upset. He may experience intense anger and loss of temper, irritability, impulsiveness and frustration. The child may increase or decrease his normal activity level and may make sounds or comments that indicate he experienced increased emotions. Classroom teachers should be aware of these warning signs and, if detected, they should be treated seriously and preventative measures should be taken. Use caution when reacting to violent behavior. First consider how the child is feeling and let him know that you are aware that he is upset. Rather than engaging the child while he is upset, tell him you will help him once he has calmed down. Then give him some time and keep an eye on him while you perform other duties. Praise him for calming himself and help him understand that everyone gets angry and there is nothing wrong with feeling the emotion. Then discuss with him why he became angry and other alternatives for expressing the emotion. Options might be drawing an angry picture or stomping feet. Include all adults in creating an intervention plan. Parents should be asked if and when violent behavior has occurred at home. They will likely know if there are events occurring outside of school which may be contributing to the child`s behavior. They can also provide valuable information about eating and sleeping habits as well as any health problems. When creating a plan for intervention, first share ideas about triggers. Then determine how best to teach the child to recognize signs that he is headed toward an episode. Behavioral alternatives will then need to be developed that will provide the child with coping skills to practice. Implement prevention measures school-wide. Make expectations and consequences clear to all students and parents at the start of each school year. You can then reinforce behavior expectations through school bulletins, announcements and activities. Teachers and aides must model proper behavior at all times and should praise students for good behavior. You can use curriculum programs to teach positive behavior skills, allowing students to work together on problem-solving techniques. You can create a time-out room for students to have space and time to calm down. Teams of teachers and administrators should be created to discuss difficult cases.